Hyacinth is a fragrant plant, which is also good for decorative purposes. It is very popular for its perfume. Some people plant hyacinths around their home, to allow its natural scent to pervade, while others use its oil to make fragrant oils. This plant is also good for indoor planting and outdoor gardening. How can you experience the fragrance of hyacinth plants? Fortunately, you can plant your very own hyacinth bulbs in pots, in the comfort of your own home! 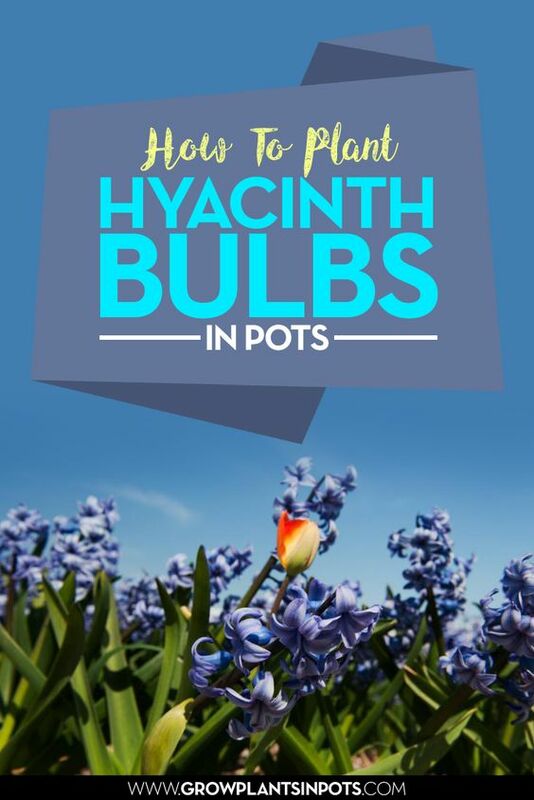 Here are three tips, to help you grow potted hyacinth bulbs. Appropriate medium and placement: Of course, for your potted hyacinth plants to grow properly, you need the proper growing medium, as well as a well-prepared pot. The best soil for hyacinth plants are well-drained, rich potting mixes. These have all the necessary nutrients for growth, retain the right amount of moisture, and allow water drainage through loose channels. You can also mix some plant compost in the soil, to grant additional space in which moisture can pass. Use a terracotta or plastic container with drainage holes at the bottom, to prevent plant rotting. Lastly, give your hyacinth plants in containers lots of sunlight, by placing them in light shade or south-facing windows. Planting and watering: It’s important to bury your hyacinth bulbs deep within your pot, while keeping them at a proper distance with each other. Plant each bulb four inches in the soil with the pointed end facing up. Keep them at least three inches away from each other, to avoid crowding. Otherwise, cramped spaces may stunt the growth of your hyacinth plants. After planting and covering the bulbs with soil, water the whole area. However, never drown your bulbs in water. Always make sure to drain your pot of excess water, after a healthy sprinkling. Also, growing hyacinth bulbs takes some patience—the roots will start appearing during autumn. 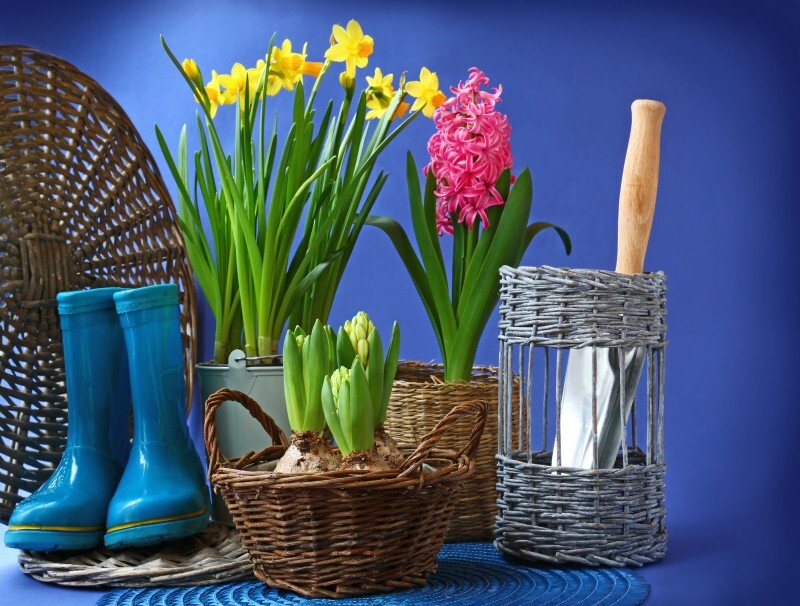 Cutting and resting: By springtime, your hyacinth bulbs should have bloomed. You can cut off the flowers for use if you want. However, if you want to maintain the decorative value of your potted hyacinth plants, you need not cut the blooms. Pay heed to the blooming cycle of your hyacinth plants. Once they are at the end, refrain from cutting again. This is crucial, since they are about to hit their hibernation period, and they will gather significant amounts of chlorophyll for the long rest, through their flowers. By summertime, your hyacinth’s blooms will wilt. You will have to wait until next spring for your hyacinths in containers to bloom again. Try Growing Hyacinth Bulbs In Containers Today! Hyacinth plants are amazing. They give off the most wonderful fragrances, and provide you with a beautiful indoor or outdoor decoration come springtime. If you don’t want to wait until then, you can even rush the growth of these plants! Experience the wonder of hyacinth plants, and grow them in your containers now.